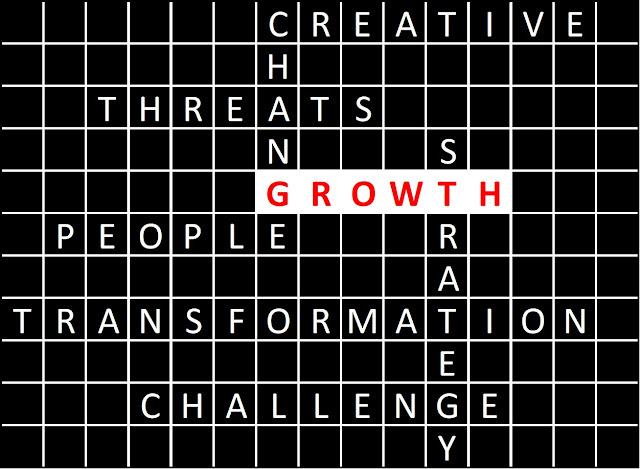 Personanondata: Where Art Thou Growth? A panel of experts provides some insight on how publishers can find growth opportunities to expand their businesses. As one of the last session’s panelists at the Publisher’s Forum in Berlin stated, “it is easy to go mad if you allow yourself to be consumed by all the threats and opportunities to publishing and it is far better to focus on the opportunities.” And, for these panelists speaking on the challenge growth poses, there are plenty of opportunities to contemplate. The predominant theme of the conference’s discussions was that ‘change is here’ and publishers can no longer choose to ignore it. This panel on Innovation and Growth was moderated by David Worlock with panelists Fionnuala Duggan from Informa plc, Joerg Rheinboldt from Axel Springer and Joseph Evans from Enders Analysis. As publishers strategize their growth plans, Duggan noted they are beginning to experiment with new models and market-entry opportunities. One company discussed at the forum was the education company Alison, which brought to the self-teaching learning and life-long education market a ‘freemium’ model. Alison’s model requires great scale but it’s a global business and the company is going into areas where there are large populations of ambitious, underserved people such as Nigeria. Cengage has also challenged the traditional pricing model for educational materials with the launch of their content subscription model which has upended the textbook pricing model and may well become an industry standard model. In seeking growth, new business model innovation can have a profound impact on your business. Axel Springer is looking at derivative products which can be developed from their content. Over the past two years, the company started to think more strategically about how their network of companies could be ‘repackaged’ to provide products and services to other companies. Out of this initiative they recently established a joint venture agreement with Porsche. The JV is in its initial stage but the combined team has already spoken a lot about when cars become self-driving and how that will affect the driver experience. Will this change generate ‘new time’ blocks into which Axel can deliver content? Other strategic opportunities may arise out of these changes: For example, Rheinbold noted that when cars need to be charged each day, customers will be putting charging devices into their houses which could create ‘ride along’ opportunities to deliver content for the joint venture company. Being creative about developing derivative products could represent significant opportunities for growth. Customer knowledge is key to delivering successful products but one of the areas where publisher actions seem to impede customer activity is in the scholarly and academic market. According to David Worlock, scholars will continue to find it difficult to maintain complete knowledge of their fields as long as the major databases they use remain siloed. Even in the face of intensive competition from Google, Apple, Facebook and Amazon (GAFA), publishers remain hesitant to collaborate with their competitors who all have the same issue. In some situations, your competitors might be your best collaborators for growth. Publishers should think differently about themselves – not as a single publishing brand with no customer identity but as an umbrella for many brands with consumer share of mind. Axel Springer was a newspaper company, but they are now a ‘media company’. Textbook publishers are now ‘education companies’. Science publishers are now ‘knowledge companies.’ Transforming your identity like this may make defining who to partner with a different exercise and lead to partnerships you may never have thought of. There is a lot of legacy baggage in the way publishers define themselves but adopting the customer-centric view should help shed that for the better. Another growth opportunity is to embed your products in your customers ‘workflow’. Once your products are entrenched they become ‘sticky’ and difficult to replace. Additionally, indispensable products lead to close relationships with customers which will, in turn, generate new product development opportunities (further supporting renewal rates and price increases). If you have products which are delivered to customers via third-party license, you may want to consider sunsetting these relationships and reap the benefits of direct contact with customers. When I launched our first web products at Bowker, letting these third-party agreements expire was one of the first proactive things we did. It’s considered a given that innovation provides growth. But true innovation is often difficult to achieve and requires that customers, prospects, internal staff and other stakeholders participate in the process. In my experience, innovative products require deep understanding of customer needs and behaviors. Technology is vital, but it is a lever of change but not the change itself. Once a solution has been identified to solve a problem the business model can be determined, and detailed work conducted to determine whether the product is competitively defensible and can be used as a platform for further enhancement. In the end, though, this session demonstrated that the best foundational strategy for growth is hiring the best people. Your employees and culture will frequently determine the success or failure of your growth plans. I recently spoke to a new University Press director who brought a consultant onsite to help take staff through a change management seminar. This, the director recognized, must be the first step before embarking on any new growth or transformation strategies. This type of seminar will also inform the leadership team regarding the abilities of existing staff to carry out change effectively. You may find you need new staff who have the innovation mindset. Michael Cairns is a business strategy consultant and executive. He can be reached at michael.cairns@infomediapartners.com for project work or executive roles. See here for examples of recent work.